If we buy direct from the maker we get the best of all possible worlds - distinctive and unusual handmade knitwear and gifts for our family and friends. Gifts which are beautiful, unique, high quality, ethically made by small businesses and designer-makers - and not mass produced. At the same time, we have the bonus of supporting the small creative independent businesses which are often at the heart of our local economies. Even the smallest purchase makes a difference to these businesses. I wanted to make it easy to choose beautiful British gifts from small independent makers… across a range of prices… and even for last minute panic-buying… so I created this guide. Enjoy! Begins top left in the photograph above and continues clockwise around the outside. These scarves make a beautiful and unusual gift. They are soft and light to wear, I knit them in a ripple stitch in a fine silk, and I paint and dye them individually, so no two are ever quite alike. I make them in a range of colours from bold to subtle. Washable. Delivery within the UK approx 5 days*. I knit these scarves in silk and viscose, which is a combination gives a beautiful drape and sheen. My dyeing method enables me to get dyes to 'take' differently on the bobbles from the background, so no two are ever quite alike. Washable. Delivery within the UK approx 5 days*. This beautiful cushion is made in a blended linen fabric in a striking bronze foil design. Very unusual. Comes with a locally made feather filled insert with an enclosed zip. 44cm x 44cm. Delivery within the UK approx 7 days. Excellent for when you can’t decide what to buy… or when you have left your gift buying to the last minute. 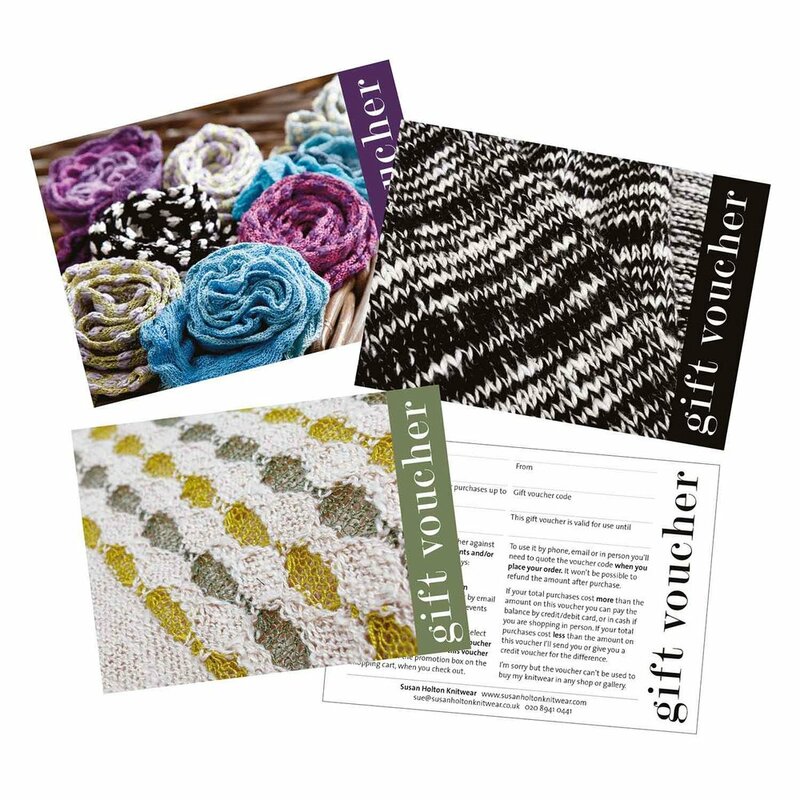 My gift vouchers can be posted or emailed. Delivery within the UK approx 2 days (post) or almost immediately by email. A soft, light, wool-rich hat with rolled edge and eyelet detail in the crown. It comes in a choice of colours, which have subtle coloured flecks in the yarn. Washable. Delivery within the UK approx 5 days*. A lightweight nylon bangle in stunning hand dyed colours, very comfortable to wear and most unusual. Comes in a choice of colours and two sizes. Nylon. Delivery within the UK approx 2 weeks. These scarves are warm, snuggly and soft and very long, they have a lovely deep knitted texture. Knit in pure cotton so totally non-itchy. Great for Spring and Autumn. Washable. Delivery within the UK approx 5 days*. 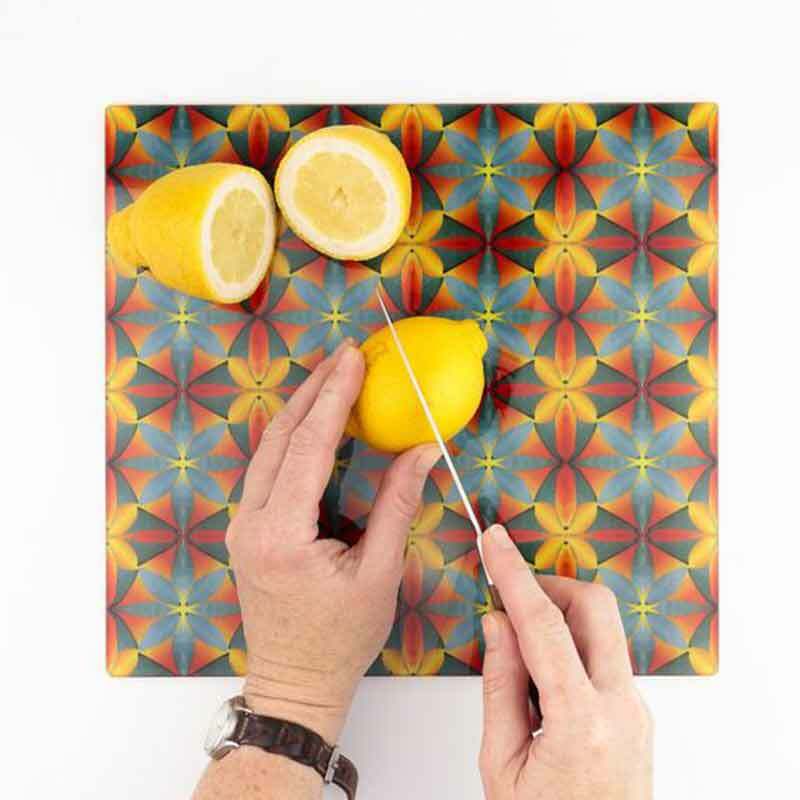 These colourful glass worktop protectors are handmade by Ruth Winchester based on her millefiori patterns which she creates in polymer clay. Delivery within the UK approx 5 days when in stock. Beautiful handmade beach hut door stop made using appliqué and freeform machine embroidery with signature ‘loose threads’. Each is approx 8cm wide x 18cm high and is filled with sand to a weight of approx 2kgs. Delivery within the UK approx 7 days. A beautiful hand braided necklace made using up to 20 metres of intricately folded ribbon, finished with sterling silver. The braid is in sky blue, orange, black and gold polyester ribbon, approx 1cm wide. Available in 16” and 18” lengths. Delivery within the UK approx 2 weeks. Beautiful hand pierced, hand textured, stud earrings with a rippled and undulating surface. Available in oxidised or silver. The large studs are approx 18x18mm. There is also a smaller version approx 9x9mm. Each piece is handmade so no two pairs are ever quite alike. Delivery within the UK approx 5 days. 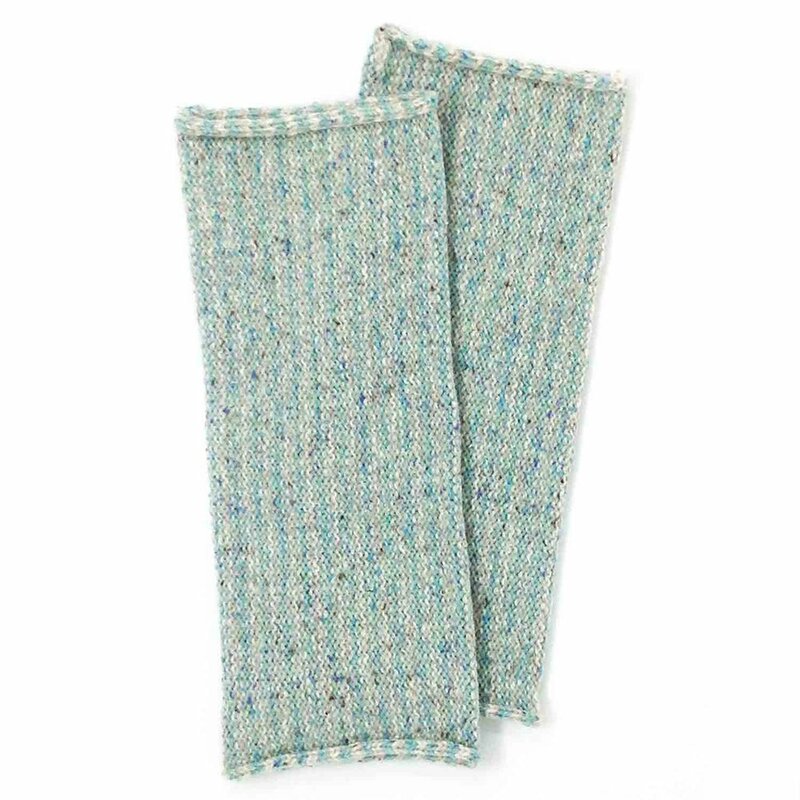 Stylish and practical - these wrist warmers or fingerless gloves are soft, light and warm. Wear them in the cold when you still need to be able to use your fingers - I often wear them when I’m working in my draughty office. They are knit in a wool/silk mixture. Washable. Delivery within the UK approx 5 days*. I hope this post makes the challenge of choosing the perfect gift much easier! I’ve chosen beautiful and unusual pieces which appeal to me, but I have tried to select a cross section of styles, products and prices, so the perfect gift for your friends and family should be here in this post, or on one of the websites I’ve linked to. I hope you’ve enjoyed browsing it as much as I’ve enjoyed selecting the pieces. At the time of publishing this blog post, all of the gifts suggested were in stock and available for purchase. My own and other suppliers stocks will vary from day to day so I'm sure you will understand that availability can't be guaranteed, but I have my fingers firmly crossed! *The asterisk next to one of my products indicates that the stated delivery time is for items in stock. All of the items I have listed are in stock at the time of publication. 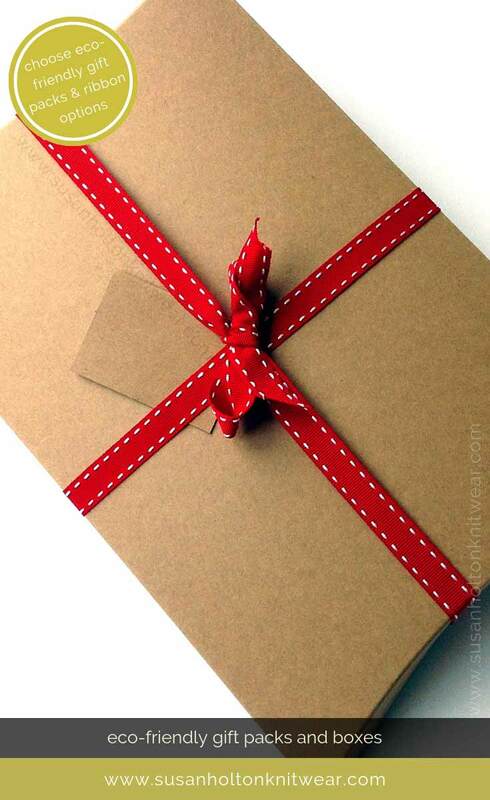 Would you like to Add gift wrap to your order? 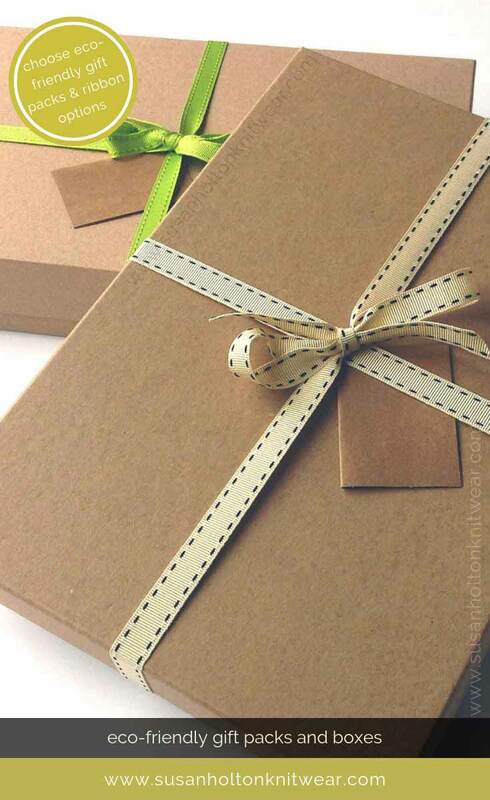 My gift boxes and pillow packs are made from high quality recycled Kraft, and you can make them doubly eco-friendly by reusing the boxes afterwards for storage, keepsakes etc. 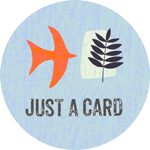 The ‘Just A Card’ campaign aims to encourage us all to buy from designer/makers and independent galleries and small businesses whenever we can. We all benefit from having a vibrant independent and creative small business sector so we can find unique and out-of-the-ordinary knitwear and gifts which are just right for our family and friends. We benefit, and so does the maker or indie-business as it helps their business to survive and thrive. If you’d like to find out more about the fabulous, volunteer led, ‘Just A Card’ campaign please click the image above. If you’d like to be kept in touch with my news, sales, events and offers you may like to join my VIP list by clicking the link in the footer below. I won’t make a nuisance of myself, I’ll only email you when I actually have something new to say!